3. 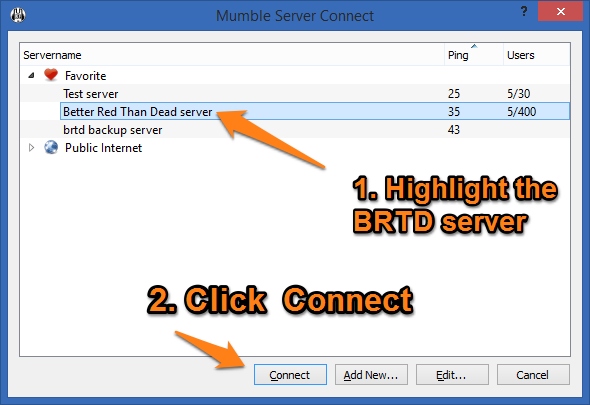 Click "Server" -> "Connect" on the menu bar to open the "Mumble Server Connect" dialog window as shown in the next step. 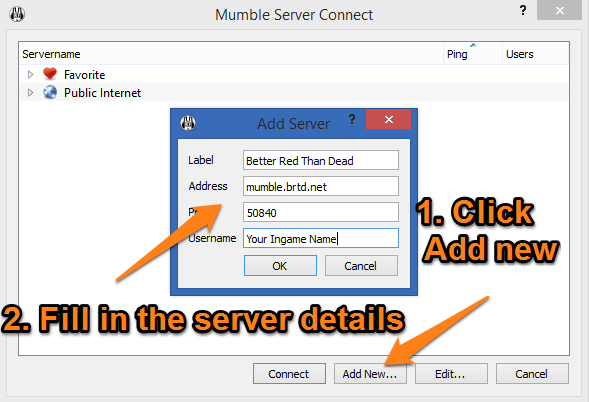 Enter a label for your server such as "Better Red Than Dead"
5. Click on your newly created favorite and click "Connect".